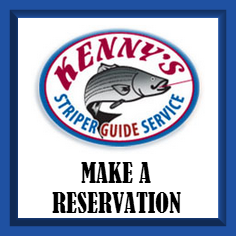 In addition to offering guided charters on Smith Mountain Lake, Kenny fishes the professional Gold Cup tournament trail with the NSBA (National Striped Bass Association). 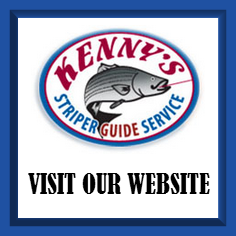 Kenny and his team "Team Polar" won the National Striped Bass Association's Team of the Year 2006 award. Their biggest sponsor in this tournament trail is Dynasty Boats of Alabama, who specially designed a 2310 Polar Bay boat for their tournament needs. This boat that you will be fishing from is roomy, comfortable - it's the Cadillac of all fishing boats! If you are looking for a luxurious, serious fishing machine then visit the Polar Boats web site or call (256) 739-4182.